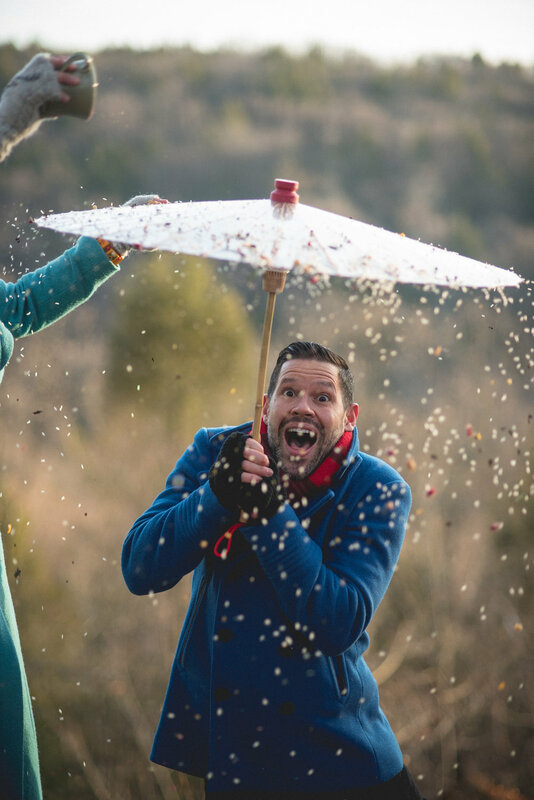 My work as a celebrant has introduced me to a lot of wonderful ways that people celebrate. One of the most unique and adaptable ones (especially for groups of people) is what I call the Shower of Blessings. This past year, I introduced it to all our friends gathered for our Chinese-Ish New Year Celebration on Promise Ridge. 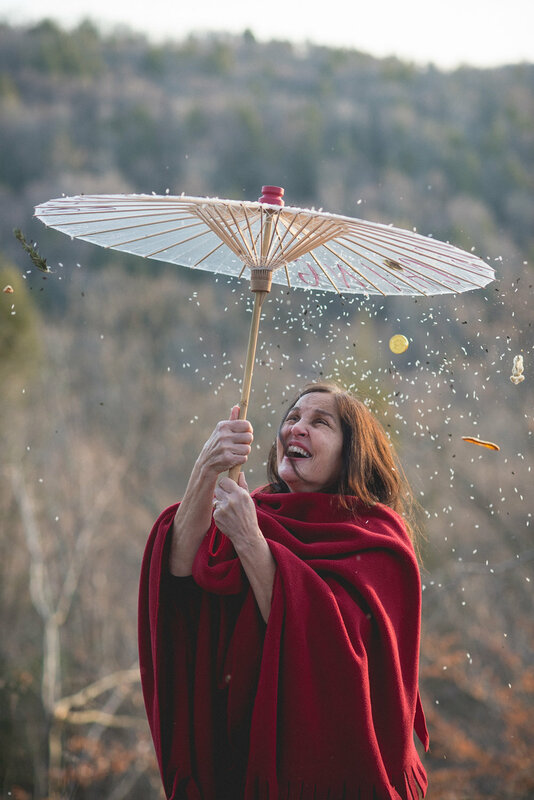 The Shower of Blessings is always a little different, and it's fantastic as a way to symbolically invite the things that you want for yourself into your life. 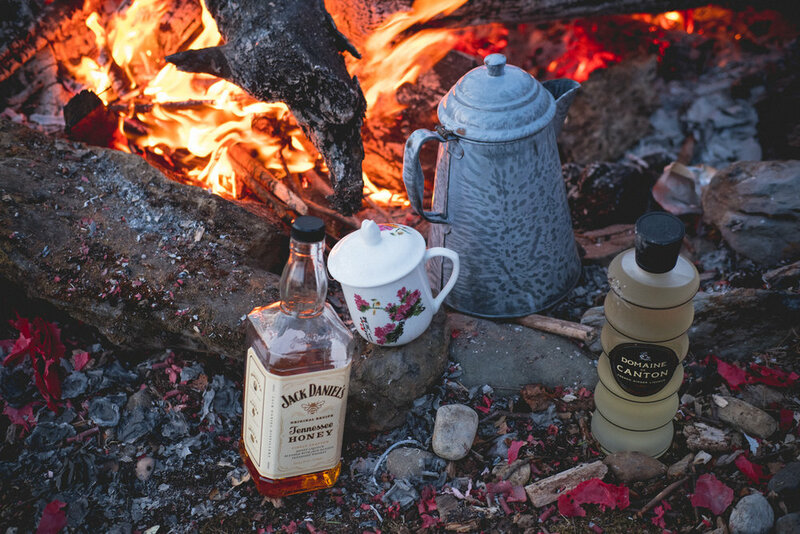 Each guest is asked to bring their own tea cup — not only do we use them for the Shower of Blessings, but the cups all come in handy later when it's time to enjoy some traditional Chinese teas (with a bit of booze, of course) around our bonfire! 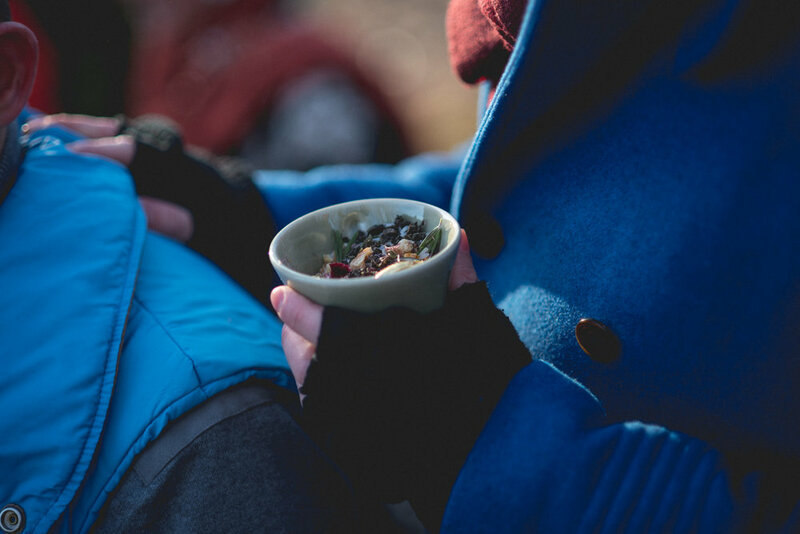 By bringing their own vessels, our friends and family get the chance to pick something of personal significance they can involve in their shower of Blessings. 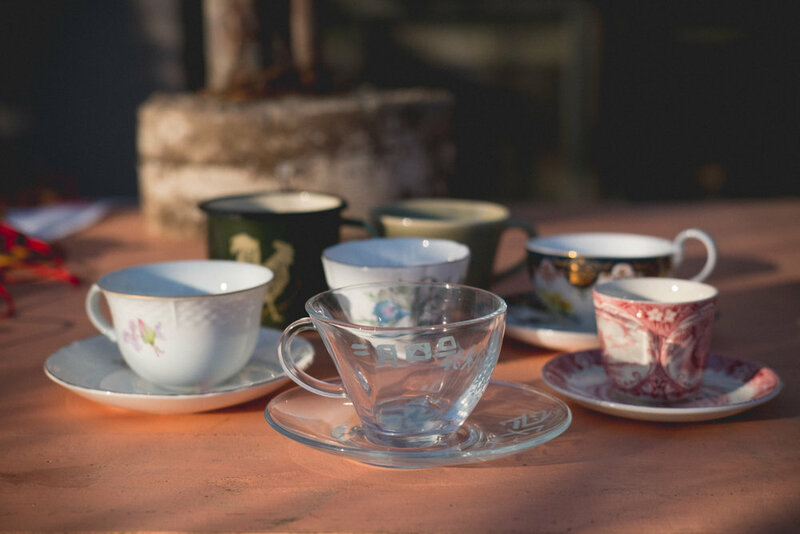 And when it's over, and each participant brings home their tea cup, it has transformed into a physical and symbolic reminder of their intentions and aspirations for the new year. 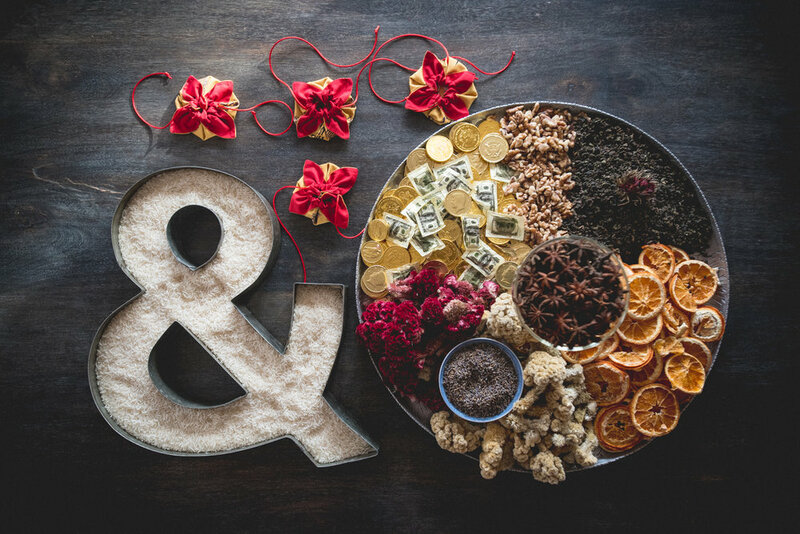 I put together what I called a Tray of Togetherness — a display of ingredients symbolizing good luck from which our guests would fill their Blessing Vessels (their tea cups); each one is representative of something we might want to invite into our lives over the course of the coming year. For example, walnuts are symbols of happiness for the entire family; cockscomb brings about good humor; rosemary for remembrance. In total there are eight ingredients, as eight is considered a lucky and perfect number in traditional Chinese numerology. Eight is representative of balance and prosperity (fun fact: Chinese phone numbers are purchased, and ones with a lot of 8s in them cost more! ), so we found it perfect for our casting of intentions. 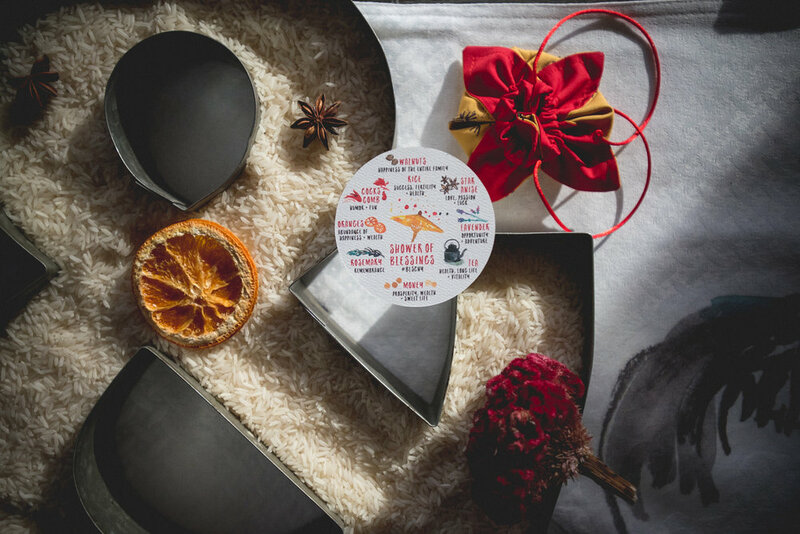 The beautiful "decoder" cards that list the symbolic meaning for each ingredient (created by Heather) gave our friends the chance to assemble the exact combination of hopes and intentions they wanted for the coming year. Money — prosperity and wealth; the sweet life! 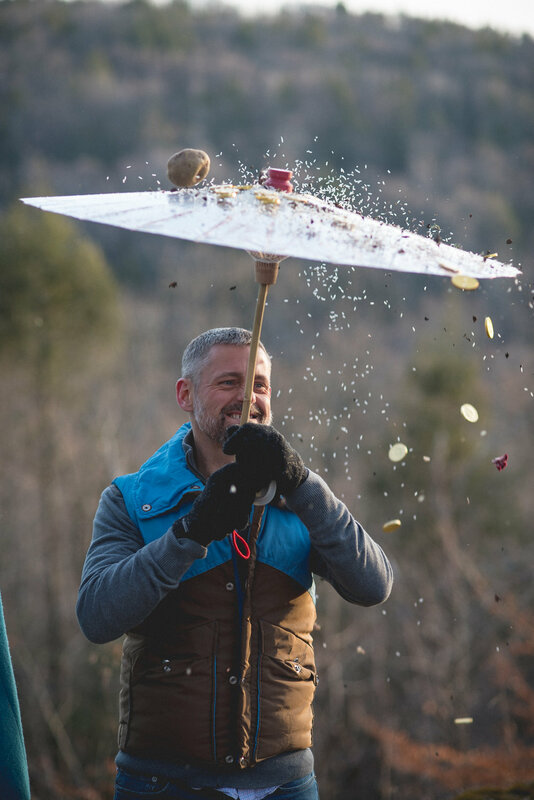 When everyone's ready, having picked out their ingredients and aspirations, the Shower of Blessings itself takes place on Promise Ridge, where we each take turns standing under a special parasol decorated with Heather's loving touch. 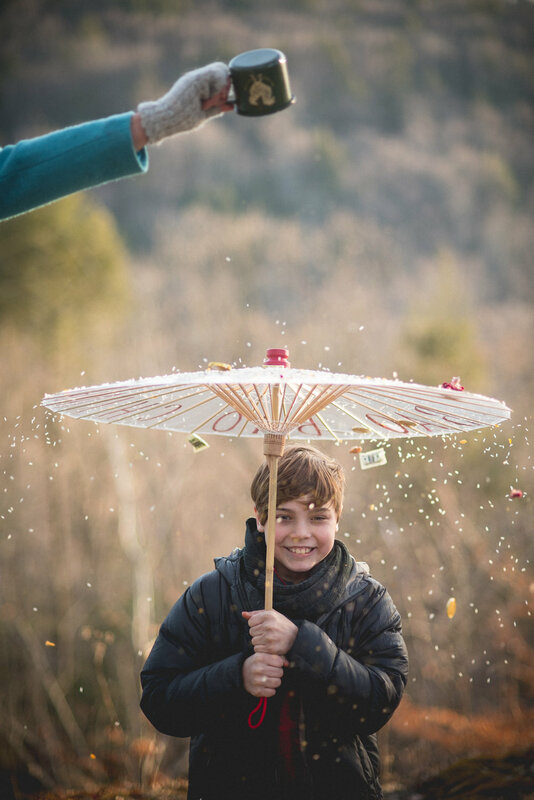 She infuses the entire celebration with traditional Chinese artwork, and our Shower of Blessings parasol is emblazoned with "Bao Bao Ching Ching," which is Chinese for "Hugs and Kisses." 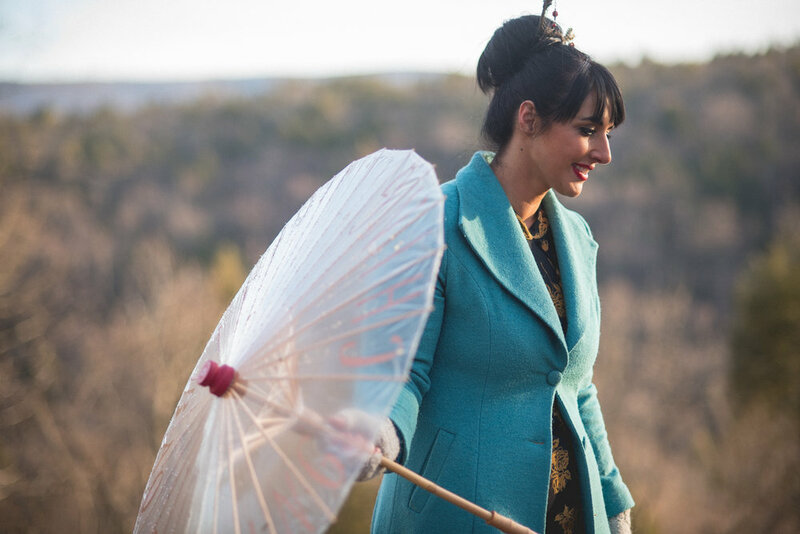 Then, standing up on a chair, looking out over Promise Ridge, I shower each guest under the parasol with the contents of their own Blessing Vessels. All the hopes and aspirations we want to attract into our lives rain around us in a literal cascade of good intentions. 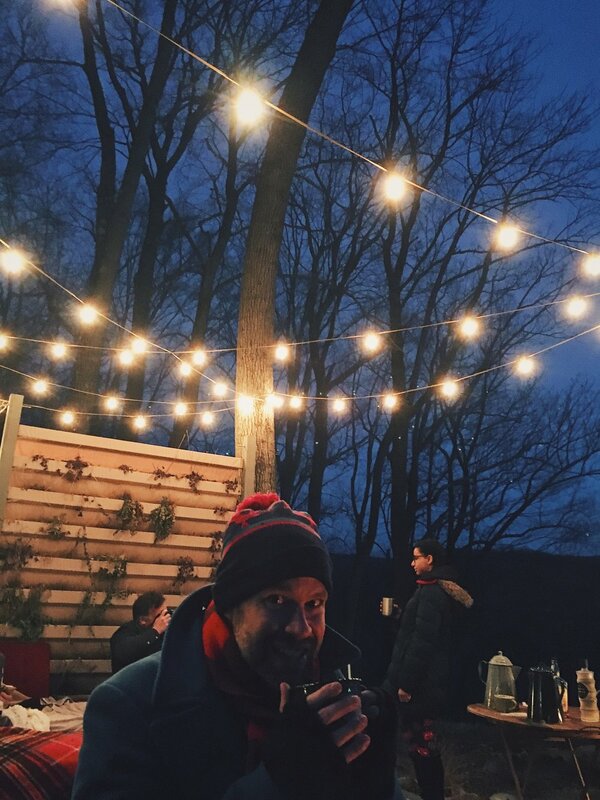 Each guest finds themselves surrounded with their dreams for the new year, and one year our friend Scott even managed to sneak an entire potato into his Cup of Blessings! Once we've all stated our intentions for the new year, we sit down together and enjoy the bonfire we've created. 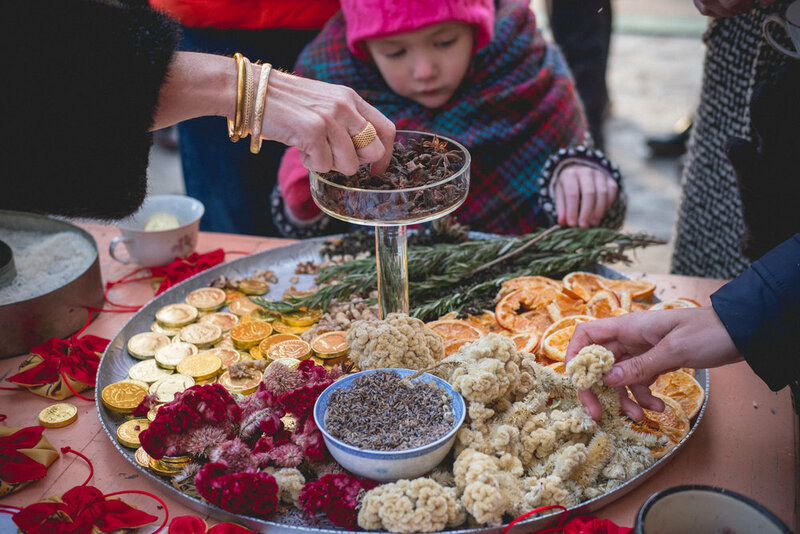 This is when those teacups come back into play — using our Blessing Vessels to sip Chinese teas by the fire is the perfect way to shed excess and unwanted baggage, and prepare ourselves to move into the new year with nothing but our blessings and good intentions.